While paint protection products can be useful, they often cannot address the damage that may occur six months or six years down the road. With RestorFX Renew, this is no longer an issue. 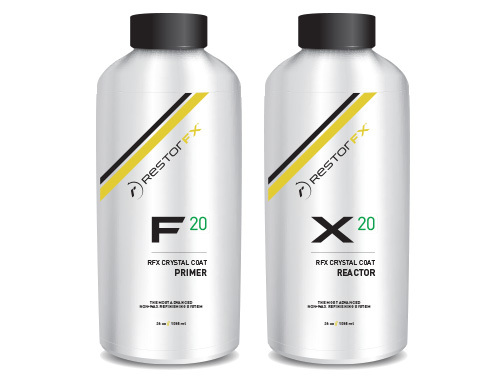 Once RestorFX Renew is applied using an exclusive application method, a chemically-adhering restoration process takes place that self-levels and cures evenly and consistently. RestorFX Renew completely changes the exterior appearance of a paint finish in just a few hours. Unlike the traditional cut-and-polish methods, RestorFX Renew treats underlying clear coat issues by fully repairing and restoring damage—not just minimizing or covering it up. The final result has a deep luster that is incomparable to traditional detailing methods and often out-shines the beauty and depth of brand new paint finish. By adding more microns of protection and depth than a factory finish, RestorFX Renew is able to deliver results that are vibrant and astounding. Professionals around the world are experiencing how the RestorFX System is the most cost-effective, permanent solution to restore automotive paint finishes. RestorFX simply outperforms all paint restoration and paint correction methods. RestorFX applies evenly and consistently, adhering permanently, and once cured is as durable as the original factory finish.